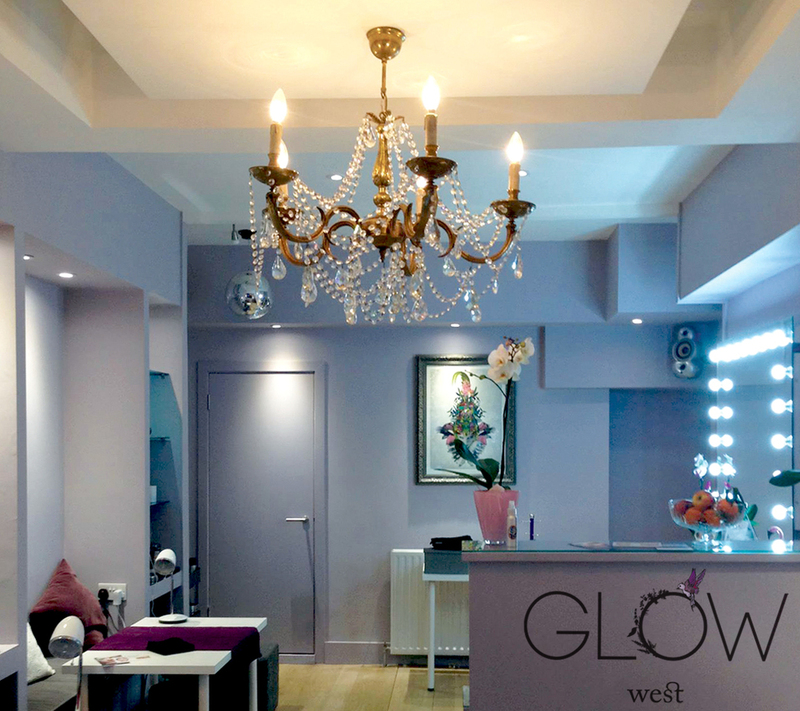 Located on Kilburn Lane, Glow West is a boutique salon offering the latest in advanced skincare and beauty treatments. Opening its salon doors in early February 2015, Glow West is located close to both Queen's Park and fashionable Kensal Rise, and is located right next door to Fierce Grace Hot Yoga. Glow West is the daring new venture into the world of beauty and aesthetics of Lisa Horan, a former music management entrepreneur. Having dedicated 25 years to the music industry, Glow West sees Lisa return to the industry she originally trained to work in. Lisa is passionate about bringing you luxurious beauty and advanced facial treatments using the very latest techniques. Lisa specialises facials especially problem skins and anti ageing using the latest equipment, techniques and products to achieve lasting results . Glow course offer is based on full payment in advance. Valid for 18 months. Wonderful salon and very friendly staff! Highly recommend. Excellent manicure and such lovely and friendly staff...I can highly recommend them!!! Five stars all round. I am not one to normally go for facials but had heard good things about this at Glow West. It was great! Less of the layers of products and more of results that have actually lasted. Will be booking a course as it has made a visible improvement. Fantastic, the best ever facial. Thank you, Lisa! Lovely ambiance and very nice and attentive staff. I'll definitely go back! Great gel nails, lovely colours and fab service. The staff were great and helped me pick a colour. All staff were chatty and friendly. Nails look great too. An excellent job! This is a gorgeous little salon, the decor is divine and so are the staff! I had the Sleek Brow treatment and was amazed at the difference my 'new brows' made to my look, I'm hooked and will definitely be back for more. I also had a manicure and pedicure and was really impressed with the finish and how long my nails stayed looking good. The prices are very reasonable and I felt properly pampered. Highly recommended. Absolutely loved the whole experience. Staff were lovely and made me feel comfortable. My eyebrows looked great also. Will most definitely go back. So happy this place has opened and great to discover it! Lovely place, the staff are great and really helpful, and a great selection of treatments. I re-booked when I was there. Lovely salon, incredibly friendly team. Really enjoyed the experience and the polish lasted several days without chipping. I will definitely go back. Despite a mix up with the booking on arrival, the staff were very helpful. Great salon and great result! I'll go back. Highly recommend. Lovely salon & efficienct, friendly staff. Am heavily pregnant and they were at ease suggesting different position to wax back of legs to ensure I was comfortable. I will definitely go back. This is a great new beauty spot - it's round the corner from me and is just what the area needed! The staff were lovely, the venue was clean and I was very happy with my treatment. I will be going back. So friendly from the moment I walked in. Lovely staff who were very attentive and helpful when deciding colours. Did an excellent job with my nails. Glow had a lovely feel to it and will definitely be back again! I have had 3 treatments at Glow West LVL Waxing and Gel Mani /Pedi and found them to be friendly and professional all of my treatments were done to a very high standard and I am very pleased with them. I would recommend Glow West and will definitely be returning. I am chuffed to pieces this new salon has opened near me. I have now been to Glow West a few times since they have opened and each visit has been a lovely experience. I LOVE its interior and general vibe. It's very pretty, incredibly comfortable, treat yourself to a luxury pedicure sat in one of the comfortable armchairs, you won't regret it! The girls are lovely and friendly - and the background music is really cool. I had a luxury pedicure, my toes are still sparking 4 weeks down the line. The foot scrub and massage was sublime. I've also had a couple of manicures as I love the selection of nail colours they have and couldn't make my mind up so went back the following week for a polish change. I've also treated myself to an LVL lash lift... WOW… what a difference! No need for mascara anymore, will defo be keeping that up. Great new salon, fantastic decor and ambience. Staff really friendly and welcoming. Definitely recommended. I look forward to my next visit.